Eliminate manure tea dangers by following these guidelines. Manure tea can be quite beneficial when handled correctly, especially when needed trace minerals are added in. However, there are some risks associated with it. Here are a few things to keep in mind. The safest manure to use to make tea is manure that has been in a compost pile, mixed with at least 50% carbon items. To most effectively “cook” pathogens and weed seeds, National Organic Standards states that temperatures in the core of the pile need to be at least 133 degrees F. The pile needs to have been turned often enough to heat the entire pile. If it has not been composted, it is best to make manure tea from manure that has aged a full year. This helps to “cool it down”, so that the high nitrogen content doesn’t burn anything. However, aging generally doesn’t kill all of the pathogens. Incorporated into the soil not less than 90 days prior to the harvest of a product whose edible portion does not have direct contact with the soil surface or soil particles. 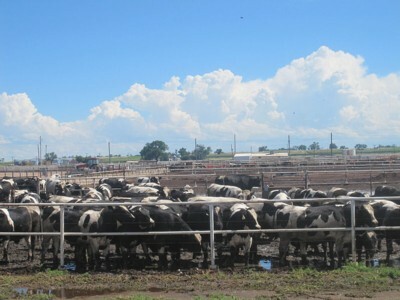 Although care should be taken with all manures, the greatest risk of pathogens is from animals that have been raised in confined quarters (feedlot animals), animals that are fed grains and don’t have much opportunity to graze, and animals that live in unsanitary conditions. 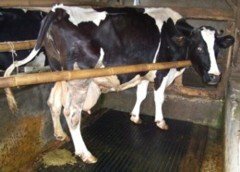 According to researchers, there is a significantly lower risk of E.coli, salmonella, or other harmful bacteria in the manure of animals that eat grass. Growers feed grain to their livestock to fatten them up quicker, but this can bring problems. The stomachs of these animals best suited to digest grass, not grain. Second, because confinement animals are generally less healthy, they are given antibiotics to keep them from getting sick. These can be passed on to your garden, and you. Even tea made from “cool” manures like goat, sheep and cow manure can burn plants if the manure is not aged or composted. When you age manure, it allows a large amount of the nitrogen to wick off into the atmosphere. If you use composted or well aged manure for your tea, and you make your tea weak enough, you shouldn’t have a problem with burning plants. Here’s another reason to use composted or aged manure for your tea. Once manure has baked in the sun or in the compost pile, you won’t smell much of an odor at all. This is even true of bird manure, which can have a nasty smell. I have noticed that a couple of websites recommend aerating your manure tea. I do not recommend this, unless you know that your manure has completely composted. The goal of manure tea is to get the nutrients out of the manure and onto your garden as quickly as possible, so as to avoid the multiplication of pathogens. Aeration, as used in making compost tea, multiplies both good and bad microbes. Root Crops. Crops such as carrots, beets, radishes and potatoes do not need a lot of nitrogen. Too much N can cause them to grow a great plant above the ground, but the root will not develop into anything useful, but will be long and thin. Leaf crops. It is best to avoid putting tea onto crops like spinach, lettuce, kale, and herbs that will be eaten raw, since it could open the door to pathogen problems. 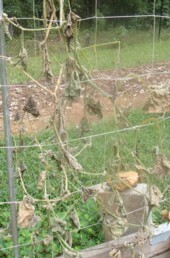 Even if you are careful to keep your tea on only the soil, rain can splash the pathogens up onto your vegetables. In healthy soil, good bacteria thrive, crowding out harmful bacteria. I fertilize my garden with sea minerals to encourage beneficial bacteria. Second, I apply humic acid, which helps to break down salts and toxins, giving me a much healthier garden.